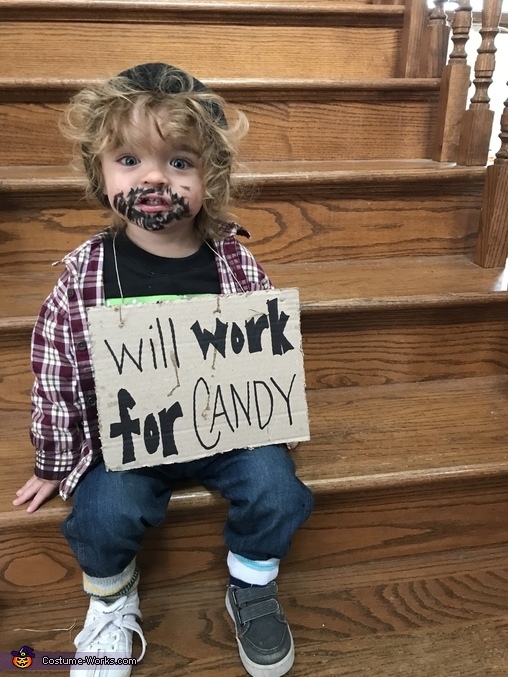 James is a 1.5 year old who pulled off this costume so well. We were looking for something that would be warm when choosing his costume since it's so cold around here on Halloween. This idea we got from Pinterest. We didn't spend any money on this costume. We had everything we needed for it! !